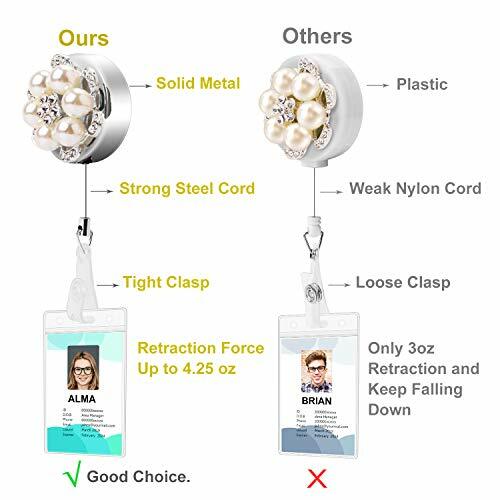 【HIGH QUALITY BADGE REEL】 The FEELSO retractable ID badge holder build with top quality metal, more solid and powerful than other plastic badge holder reel. 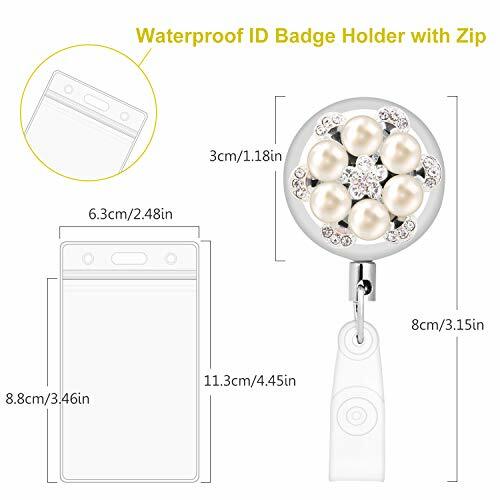 Including 3pcs metal retractable badge reels with belt clip and 9pcs plastic ID card badge holders with zip for your using. 【SOLID RETRACTION FORCE】 Approx 120g/4.25 oz, much strong than other plastic badge reel 85g/3oz on the market. 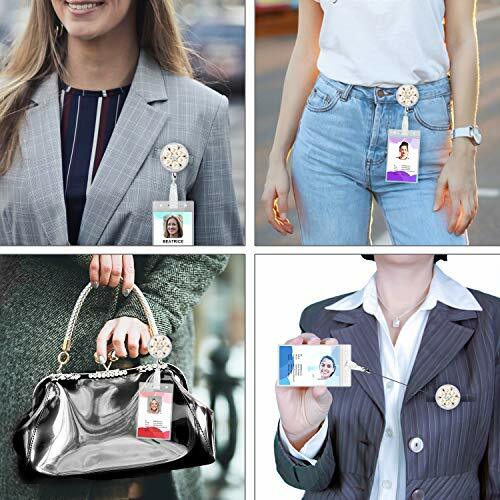 Can hold your ID badge and not slide down. 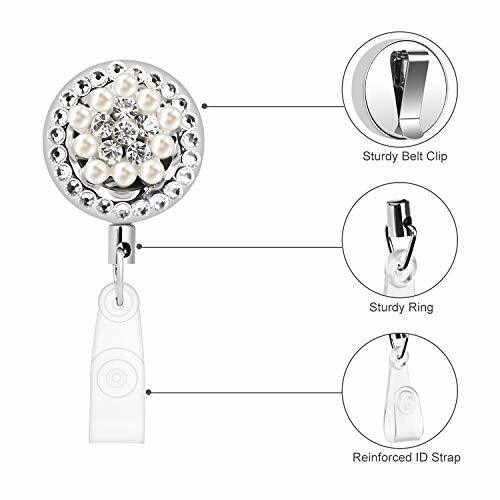 The ID strap would allow you to use the reel as a retractable ID badge holder. 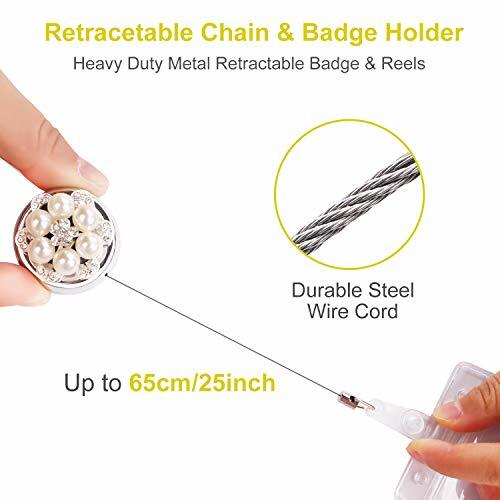 【25 INCH STRONG STEEL WIRE CORD】The heavy duty ID holder badge reel consists of hard metal shell and strong thickness steel cord that built to last so that you don't need to worry the cord being worn or broken after few weeks use. Cord extends up approx. 25 inches that ideal for most of the arm length. 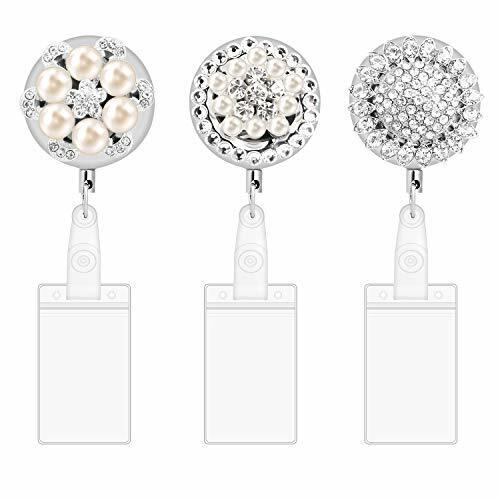 【SCREW-FASTENED BACK CLIP】 Each retractable badge holder has screw fastened back clip design to make clip more tight. 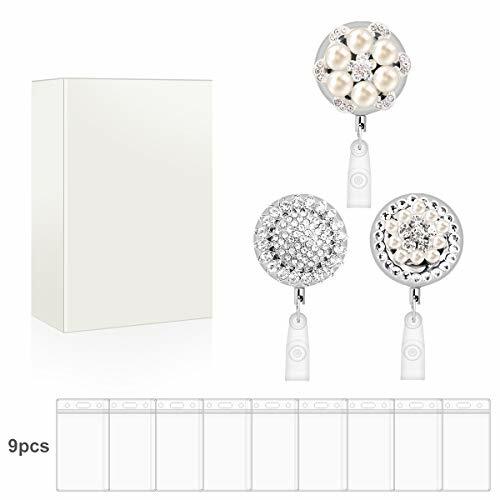 More securely to stay on your pants, belts, bags or sturdy pockets, and you never worry about the clip coming out. 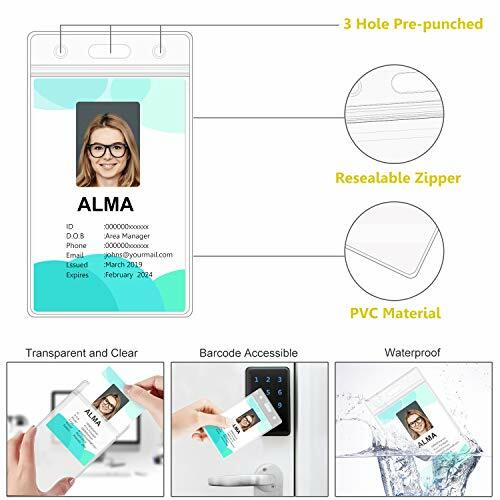 【WIDE USAGE】Great Badge Holder for those need multiple badges, cards, ID (Offices, Airports, Government Employees and More), suitable for ID badges, drivers license, laundry card, debit cards, etc.